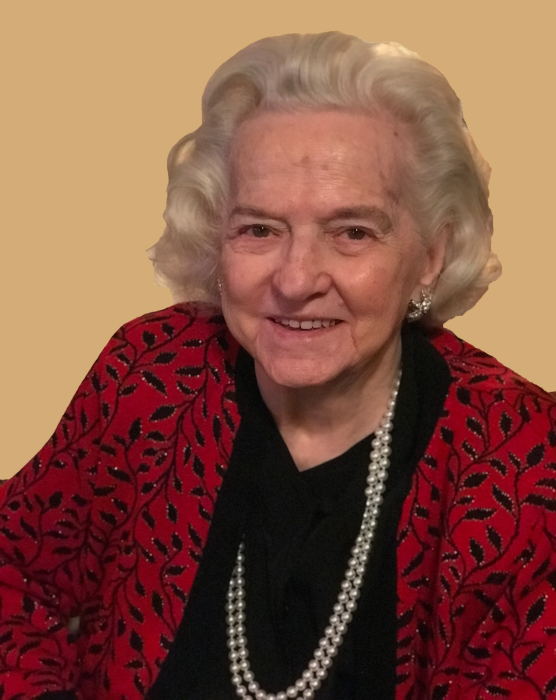 Katie Gray Conner Broadway, 99, of Kinston went to be with her Lord and Savior on April 10, 2019 at Kitty Askins Hospice Center. She was born on August 20, 1919 in Craven County, N.C., to Elijah and Lina Page Bell Conner. Katie married the love of her life, Charles Albert Broadway Jr., and settled in the Lenoir County community of Grainger’s where they began farming and opened a drive-in theatre, Broadway Drive-In, for all the community to enjoy. A longtime member of Grainger Baptist Church, the church in which her in-laws were founding members, Katie was a devoted Christian who made sure she raised a God fearing family. Visitation will be held 6:00 p.m. to 8:00 p.m. Friday, April 12, 2019 at Garner Funeral Home. A service to celebrate the life of Katie’s magnificent 99 and a half years will be held 1:00 p.m. Saturday, April 13, 2019 at Garner Funeral Home with Pastor Allen Ham officiating. Burial will follow at Maplewood Cemetery. Katie was a devoted mother, grandmother and great-grandmother. She is survived by her sons, Charles Albert Broadway, III, Donald Lynn Broadway, all of Kinston and Jesse Alston Broadway, of the home, her long time devoted son and caregiver; grandchildren Christi Broadway, Charlene Broadway, Charles Broadway, IV, Chad Broadway, LaDonna (Tim) Dilday; great-grandchildren Hallie Dilday, Kennedy Santes, and Tevis Dilday. She is survived by many nieces and nephews, who loved her like a mother. In addition to her parents and husband, Katie was preceded in death by her siblings Louise Jones, Alston Connor, Christopher Connor, Eva Langley, as well as daughter in law Christiana Broadway and grandson Charles Robert Broadway.